Introduce your child to flossing as early as possible. As soon as your child has two teeth next to each other, you can begin flossing. And once your child is old enough to hold onto the floss, you should start teaching her how to use it. The younger children are when you introduce them to flossing, the more likely they are to treat it as a normal part of their daily routine. In other words, they’re less likely to fuss or question why they need to floss when they get older. To make flossing as easy as possible for your child, make age-appropriate flossing tools available. A five year old may not have the manual dexterity to use regular dental floss, but may be able to manage a dental flosser or even an interdental brush. Take your child down the dental aisle, and let him choose which floss he wants to use (this goes for toothbrushes and toothpaste too!). Remember that feeling of pride you felt when your mom and dad let you make your own decision about something important? You can use that feeling to your advantage when you’re trying to get your own kids to take an interest in their oral hygiene. They'll get more excited about the process if they get to use something they picked out themselves. 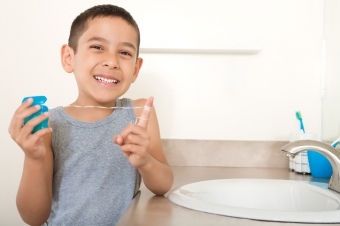 Children and even teens are more likely to floss regularly if they see their parents doing it. Since it’s good for you anyway, make a point of letting your child see you floss carefully every night before bed. Practice what you preach! Gather the whole crew in the bathroom for the nightly oral hygiene routine. This is a fun way to keep the whole family honest about their oral hygiene, and it’s a small (but surprisingly significant!) way you can get in a little extra quality time together, too. Draw out a chart and use it to mark off daily flossing. Once your child has reach a pre-determined goal (flossing every day for a week, two weeks, or a month… or whatever interval you decide on), provide a small reward. This can be an oral health friendly treat, some stickers, an extra half hour of TV before bed, or a trip to the movies. Whatever you like! This may even work with teens; just make the reward age appropriate. 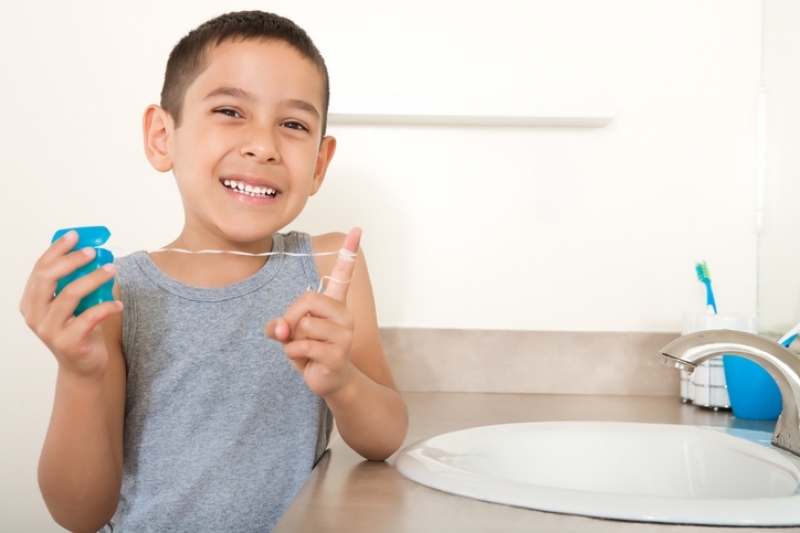 For more tips and advice on making flossing easier for kids and teens, contact our Langley children’s dentists today!